Alissa Kloet’s entrepreneurial spirit was sparked well before founding Keephouse. 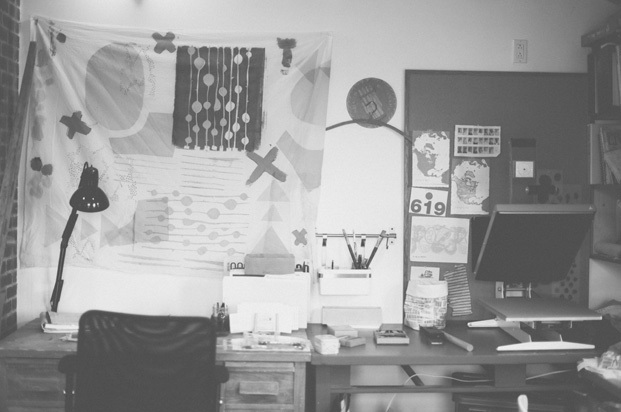 While studying in Nova Scotia College of Art and Design’s Bachelor of Fine Arts program, she had stalls at craft shows to test the waters, while saving up to buy an industrial sewing machine and print table. Before she called Canada’s Atlantic seaboard home, she studied Textiles at Sheridan College in Ontario, where she was immediately hit over her head with the conviction that she wanted to work with cloth, pattern and color. A cute decorative tray that is ideal for a coffee setting, lawn lunching or sitting atop your chest of drawers to display jewelry. Screen printed by hand and finished with polyurethane.Available in: Small or Large. Small tray is 12 3/4" x 8 3/4" x 1.5". Large tray is 17" x 12" x 1.5". Side handles. Wipe with damp cloth. Not dishwasher safe.Birch plywood. Finish is matte, food safe and water resistant.